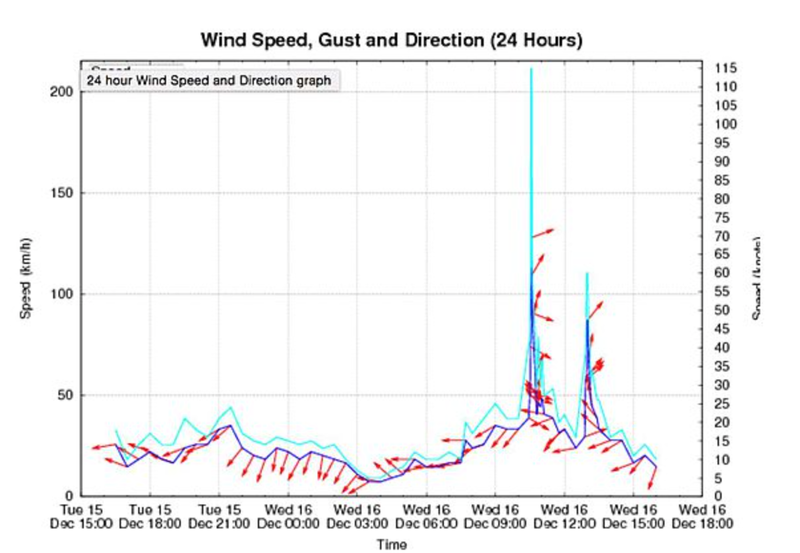 MSE Creative Consulting Blog: What Happens When a Tornado Hits a Weather Station? What Happens When a Tornado Hits a Weather Station? This is from near Sydney, AU and he scale is in km/hour. 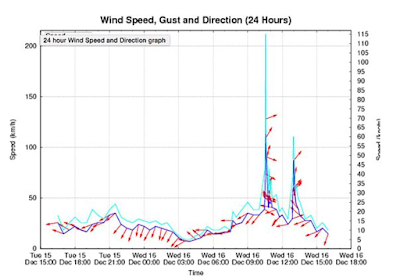 So, this is about a 130 mph wind gust. AccuWeather has the full details.